When President Donald Trump appeared at a Pittsburgh airplane hangar Saturday night, his role, ostensibly, was to pump up the assembled crowds to vote for Rick Saccone, the Republican running in today’s special election to fill the vacant seat in Pennsylvania’s 18th Congressional District. But instead of focusing on the candidate himself, Trump’s comments seemed to cast the race as a national referendum on his presidency. Both the pressure and the high stakes are undoubtedly present in the special election — the Republican Party’s desperate measures to keep the district prove conservatives think so, at least. But while there’s probably some truth to the narrative that sees Pennsylvania’s 18th Congressional District as a harbinger of a massive blue wave come midterm elections this November, it’s equally true today’s special election is distinctively southwestern Pennsylvanian. And Democrat Conor Lamb’s focus on that aspect of the race is what’s positioned him to win. That local focus hasn’t been particularly well represented in media coverage of the race. An example that immediately comes to mind is the Pittsburgh Post-Gazette’s bizarre endorsement of Saccone Sunday. 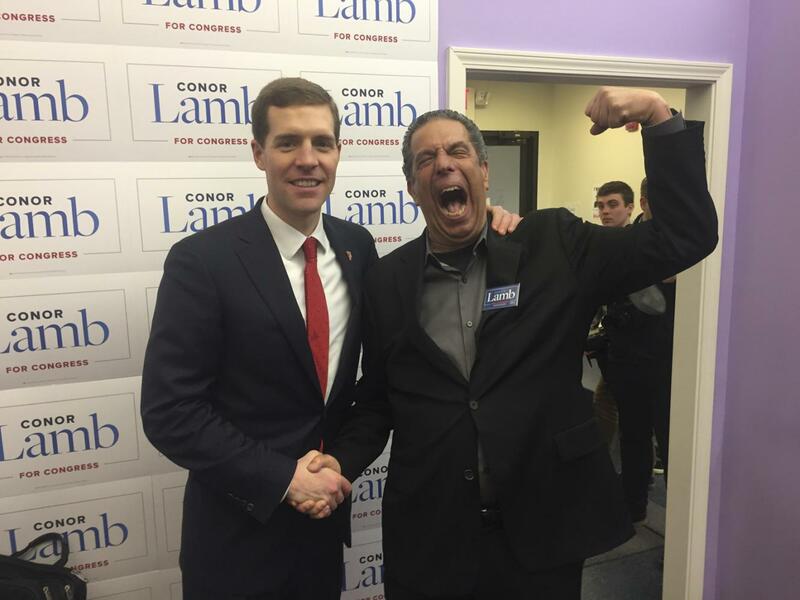 After a flimsy attempt to paint Saccone as a “moderate” conservative, the endorsement goes on to criticize Lamb not so much for who he is, but rather because his election might lead to Trump’s impeachment. Even if this were true, it’s hard to understand how it really affects the issues facing working-class voters in the district. The Observer-Reporter of rural Washington, Pennsylvania, by contrast, listed a slew of Lamb’s policy proposals when it endorsed the Democrat Sunday. Lamb is obviously committed to the issues that are relevant to people actually living in the district. And his campaigning strategy in the days leading up to the special election draws heavily on the traditional base of organized labor that has historically propelled other Democrats in southwestern Pennsylvania to political power. With a successful teachers’ strike in West Virginia still fresh in the region’s memory, powerful regional unions like the United Mine Workers of America and the United Steelworkers are pushing hard for their rank and file to turn out for the Democratic ticket. If Lamb pulls off an upset tonight, it won’t be without the support of members of union households who stayed home or voted Republican in 2016. He can thank his focus on the real issues of the region for their support — not just the tired national politicking Saccone and Trump have offered.